Gainesville, FL - Approximately 100 students rallied at Turlington Plaza on Nov. 17 with signs, bullhorns and petitions, demanding that the University of Florida halt its plan to implement Block Tuition starting Fall 2011. Block Tuition would force 60% of students to pay for more classes than they actually enroll in. Block Tuition would severely limit the ability of poor and working-class students to attend the University of Florida. Gainesville Area Students for a Democratic Society (SDS) called for the rally in order to present the university president, Bernie Machen, with more than 800 signatures collected over a four day period. Students spoke out at Turlington Plaza around 12:30 p.m. before marching to Tigret Administration Hall holding signs reading “Tuition is too damn high! 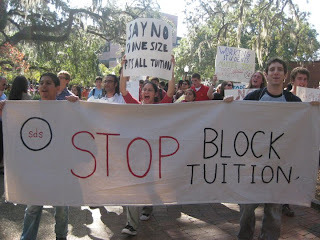 Students against Block Tuition!” and chanting “Education is a right - UF students, unite and fight!” The militant march culminated with a delegation of student activists forcing a meeting with University of Florida Provost Joe Glover and demanding that Block Tuition be stopped. An escalation is planned for Dec. 9, when the Board of Trustees will meet to make their final vote on Block Tuition. 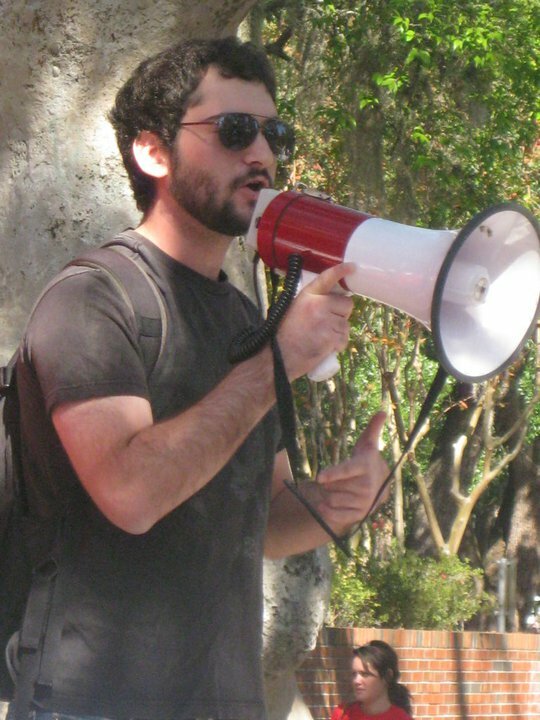 The struggle for education rights that is surging around the globe has come to Gainesville and the students promised to continue to fight for their rights by any means necessary.